How to Ensure You’re Getting Fresh Gulf Seafood! 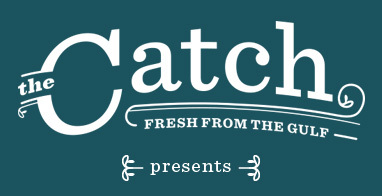 Thanks to The Catch for this excellent information regarding fresh seafood! Log on to EatGulfSeafood.com for more information on Fresh From the Gulf Florida Seafood! When you’re looking to buy fresh Gulf seafood, you’ll want to make sure that you’re getting the highest-quality seafood sourced straight from the Gulf. The first and most important step before you purchase seafood at a store (or order it in a restaurant) is to double-check with the seller that the catch is from the Gulf. After that, you can check the seafood’s freshness by using some of our tips below. Look to make sure the flesh of the fish is vibrantly colored, with a translucent (not opaque) sheen. The fish’s flesh should be free of cuts, discoloration, separations, or dry spots; if the fish has scales, they should look smooth and unruffled. If the fish is packaged: make sure there’s little (if any) liquid surrounding the fillet. If there is a small amount of liquid, it should be clear, not milky. The fillet should be in a natural position (not rolled or folded). Smell the fish fillet to check for foul or overly strong odors. Fresh fillets should smell clean with mild scents of saltwater, seaweed, and cucumber. Store your fillet in tightly wrapped moisture-proof paper or plastic wrap. Surround the wrapped fillet with crushed ice to prevent moisture loss. You can keep the fillet in the refrigerator for up to two days. If frozen, thaw fish fillets in the refrigerator or in a bowl of cold water, changing the water frequently. Look to make sure the fish appears fresh, without any signs of cuts, discoloration, or dryness. Make sure its gills are a rich, cherry-red color and that they’re free of slime and mucus. The fish’s scales should be smooth and tightly arranged, not ruffled or disheveled. The fish’s eyes can bulge a little, but make sure that they’re clear and not cloudy. Smell the fish to make sure it’s free of foul or overly strong odors. Similar to a fish fillet, you’ll want to check that the fish smells like the ocean — you might get whiffs of saltwater, cucumber, and seaweed. Touch (or ask your seller to touch) the fish to make sure its flesh is firm. If you hold the fish by the middle of its body, its head and tail should remain straight. If gently poked, the flesh should bounce back and retain its shape. Store your fish in tightly wrapped moisture-proof paper or plastic, and refrigerate it in a bowl of crushed ice to keep it fresh. Eat it within two days. Look to make sure that it’s in fresh and undamaged condition. The shell should be tightly closed, without any gaps or cracks. 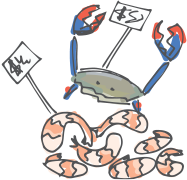 If you’re buying shrimp, make sure that they look firm and fresh; if you’re buying live crabs, check to see if the crabs are moving and active. Smell the shellfish to see if you can identify any foul or overly strong odors. Like whole fish and fish fillets, shellfish should have a very light, ocean-like scent. Store your shellfish like you would a whole fish or fish fillet — tightly wrapped and surrounded by ice in your refrigerator. Use within two days. If you’re buying frozen shrimp, remember that raw, headless shrimp tend to store better than pre-cooked frozen shrimp.